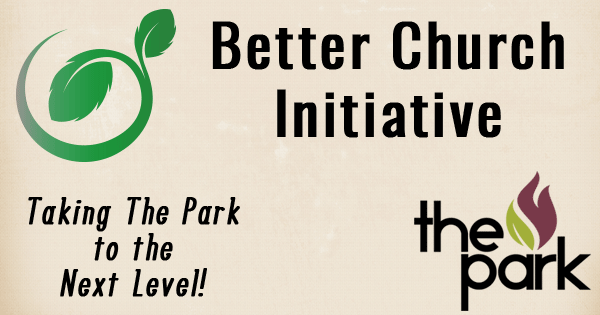 Better Church Initiative is using best principles, practices and social engagement. How are we operating in excellence and are we using these things to bring glory to God? Stop by the BCI Table in the CLC each Sunday in February and sign up for one of the many opportunities to participate. BCI Church-wide survey was conducted. The online survey was an assessment of five primary systems; welcoming, nurturing, empowering, serving, and disciplining. Rev. Campbell analyzed the results. Rev. Campbell visited Hamilton Park, conducted church growth and transitions sessions, toured the campus, and preached during a 10:00 worship service. Rev. Campbell submitted the results of the survey, along with his recommendations. BCI team reviewed Rev. Campbell’s results and recommendations and created 4 goals. The Church Council received the goals and reviewed them. What are the 4 goals based on? The survey and recommendations from Rev. Chris Campbell. The survey lifted up our strengths — which we celebrate. They are our location, facility, preaching, music, and love for one another. The survey also expressed areas where we need to improve. The 4 goals and 14 projects address this. The North Texas Annual Conference, under the leadership of Bishop Mike McKee, launched an emphasis to strengthen African American churches by adding a staff position for that express purpose. Rev. S. Dianna Masters was appointed to this post in 2018. Rev. Masters built a conference wide team of lay and clergy to decide how to strengthen the African American churches. The name given was “Black Church Initiative.” We at Hamilton Park elected to use “Better Church Initiative” to fill in the gaps of inclusiveness. It was decided that the first efforts of strengthen would be with four of the strongest churches in the North Texas Annual Conference; Hamilton Park, St. Luke “Community”, St. Paul and The Village. These four churches entered into a contracted agreement for enhancing via a leadership company led by Rev. Cedric Bridgeforth, who is the Lead Consultant. This program offers each church a tailored set of goals unique to them. The coaches work with each clergy person and congregation to tailor approaches to their current capacity such that it also challenges growth, while also setting goals that are attainable. Funded by the North Texas Annual Conference it includes; a church coach, Rev. Chris Campbell, of The Plaza UMC in North Carolina and a Preaching coach for Rev. Patterson, Dr. Kevin Murriel of Cascade UMC in Atlanta, GA. Rev. Campbell is an in-demand church growth coach, who travels extensively helping churches soar. Dr. Murriel is the pastor of one of the fastest growing churches in Atlanta, GA.
To identify the needs of our church and community. Haven't we done this before? Are we paying for this? Because we are called to minister to each other. To better our ministry efforts. God, reignite the hearts of our church members including me, to have a passion for the Gospel. Teach us to live as women and men who are true bearers of the good news of Jesus Christ. Remind us of the purpose. Convict us of the purpose. Empower us to live our purpose. God, give my church and me a heart for our community. Let me see the people through Your eyes. And give me the courage and the wisdom to let go of this church, so that others who best reflect this community can lead and teach us. God, give me the conviction and the courage to be like the heroes of Hebrews 11. Teach me not to hold onto those things in my church that are my personal preferences and styles. Show me not only how to let go, but where to let go, so that I may heed your commands more closely. Lord, remind me that I am to be a great Commission Christian church. Remind me that, in Your strength, I am to do whatever it takes to reach out into my community with the transforming power of the Gospel.